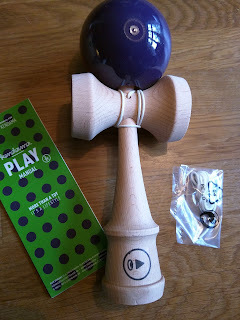 Androidistica: [Review] Illumibowl , the dark side left behind. [Review] Illumibowl , the dark side left behind. Ever since we humanoids started walking, talking and figuring things out ,we evolved. Sometimes going forward and at times, seemingly the opposite direction. The industrial revolution brought us automation, electricity and more comfortable ways to solve the "nature calls" tasks in our lives. Now , in this day and age there is a lot happening with the details we still want to tweak a bit. The things that at first seem to be of little importance , but in practice proves the impact being overwhelming. Let us have a look at one of these overwhelming "life-improvers". Again we are witnessing a successfull Kickstarter financed product that could be in every home. "utter extinction of the boogie man, monsters hiding under the bed, and all things that go bump in the night." You can't go wrong with that kind of mission statement can you? 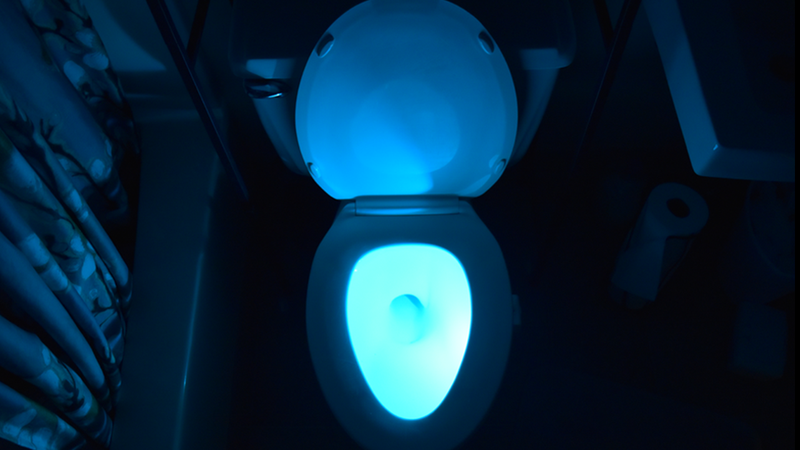 So what this nifty little product does, it lights up your toilet bowl once entering the bathroom (as long as you set it up correctly). It's essentially a LED , some suctioncups and a motionsensor powered by batteries. You can either have a single chosen colured light or alternatively let the Illumibowl cycle through all available colours. So how does it work in practice ? Once set up in the familys second bathroom an impressed family experienced the light in the dark. The kids were amazed of the coluring of the lights, and the possibility to alternate colours. Wife appreciated it due to the adult-factor, no need to blind yourself during nightly visits to the restroom. The motionsensor is fast, and without delay lights up the bowl once entering the bathroom. Four suctioncups are attached on the backside of the motionsensor so it surely stays where put on the side of the bowl. The LED itself has one suctioncup, which is sufficent for keeping it in place. People who bought the Illumibowl are satisfied with their purchases and many have bought numerous devices as gifts, or adding one to each bathroom in their homes. The Illumibowl is a must-have , without flaws and at a price that needs no argument. Androidistica sends Illuminated thank-yous for having us review this device to the Team at Illumibowl.